Welcome Loggers! Enjoy the Collins Library Top Ten tips! Need a break from homework? We’ve got hundreds of movies on DVD, and everything from mysteries to science fiction novels in our popular reading collection. We’ve got a ton of different places to study, whether you want to curl up in a rocking chair or spread out over a desk. Library Class-on-Demand! Request a group of four or more students to learn more about library research tools. Online subject guides! No matter what your major is or what classes you’re taking, we’ve created these to provide you with step-by-step research help! Stay in the loop! Keep up with our new exhibits and upcoming events through our blogs & Facebook page! Got a question–any question–about the library or your research? Try our 24/7 Ask-a-Librarian online chat service! Group Study: We’ve got what you need to get group work done, including collaboration spaces, whiteboards, group study rooms, and more. Looking for something in particular? Primo Search is your starting point for finding books, media, articles and more! 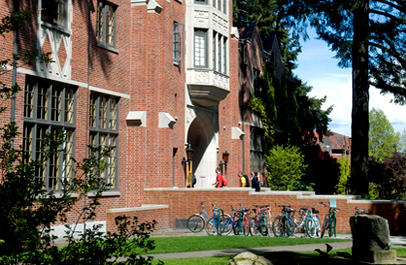 Curious about University of Puget Sound history? Check out the digitized back issues of The Trail, our student newspaper, or browse the historic photographs in our digital collections! If you’re a first-year student, have you taken the RESEARCH PRACTICES SURVEY yet? Check your email for your link to the survey! Complete the survey and you’ll be entered into a raffle for a $25 Visa Gift Card (GIVING AWAY THREE). Computers are available in the library’s Learning Commons on the first floor if you need a place to take the survey. Your survey responses help librarians and faculty design effective instruction! We welcome you to the services and resources of Collins Library and look forward to helping you achieve academic success! This entry was posted in Featured Resource. Bookmark the permalink.